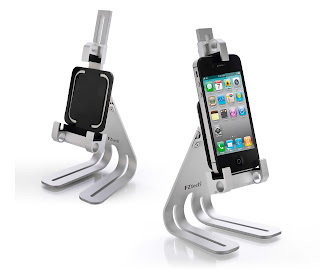 2012, Taipei, Taiwan — FZtech, a provider of high-performance technology products, released the smart phone stand “Eiffel series FZT-P1” to support maximum ease of use. 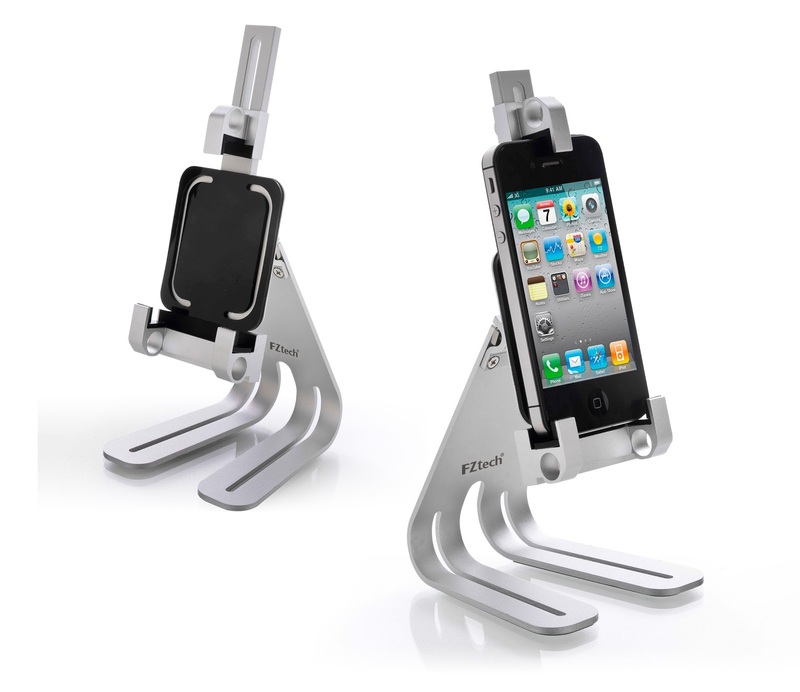 The aluminum Tower holds smart phones securely with 360-degree rotation. This adjustable Tower allows smart phone users to easily read and work for long periods of time or share media with friends at any angle. The more useful smart phone becomes, the more time people spend on it. It is imperative to reduce the stress of users’ hands from constantly holding smart phones throughout the day. FZtech makes the FZT-P1 Stand a lightweight aluminum body and portable for maximum convenience at just 205 grams. Its smooth metal surface elegantly fits the needs of all readers, gamers and working professionals. Measuring a compact 19.8 cm (L) by 9.5 cm (W) and 11.5 cm (H), the Eiffel series FZT-P1 takes up a minimum of space. For all practical needs, the FZT-P1 is the perfect companion for smart phones. Stability is part of the FZtech Eiffel Series’ DNA. Automobile-grade rubber stops in each corner of the frame grip the smart phones, making sure it doesn’t go anywhere. Along with three rubber stops, the base of the Stand includes a handy slot that holds a stylus. The FZtech Eiffel Series P1 Stand offers an optional stylus, eliminating any limits to creativity. For more information about FZtech Stylus, please go to http://www.fztech.com.tw/. As a creator and supplier of cutting edge, high-quality, reasonably priced, thermal and metal products for use in PC, LED, and consumer electronics product applications, FZtech offers total metal and thermal solutions and provides OEM services to various industry leading companies. For more information visit FZtech online at www.fztech.com.tw.